With the roll out of the National Broadband Network, the different services available and the different service providers, many people are asking the question: What will happen to my alarm system? The answer differs, depending on a few variables. Most people, once connected to the NBN switch over to a VOIP or internet phone, rather than a traditional phone line. The majority of alarm systems available can not report back to base or direct to mobiles over a VOIP line and it does not conform to the Australian standard for security systems. However there are options available. For our Back To Base customers, new or existing, the simplest and most common option is to have a GPRS unit installed. 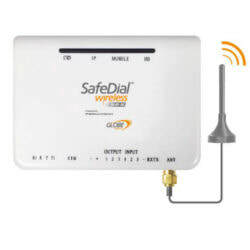 The "GL45" 4G GPRS units installed by Canberra Security conform to current Australian standards and can connect to almost any alarm system. They report direct to our central monitoring station via the mobile internet GPRS network. So if you get a 3 or 4G mobile signal, a GPRS can work for you. The GL45 unit also has a smartphone app available which allows you to see whether your alarm is armed or not and even allows you to arm or disarm your system remotely. The app is a one off purchase of around $1.50 and there are no extra ongoing subscription fees. You don't need to be an existing customer of ours to take advantage of this great product, and we won't lock you in to any contracts if you do decide to switch over to our service. Contact us now for current pricing. If you currently have an alarm system (or are considering installing one) that calls your mobile directly in the event of an alarm we have the NBN solution for you. 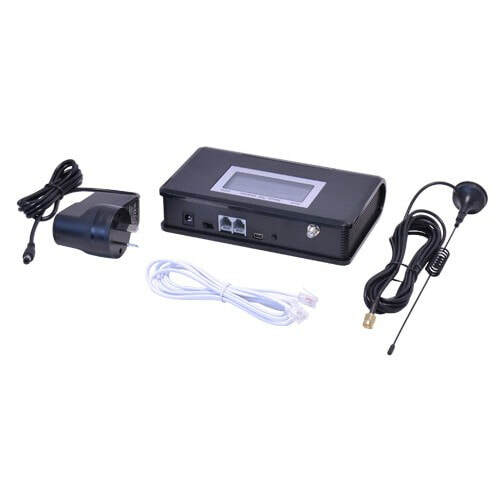 A GSM unit is a phone line replacement that allows your alarm system to report via the mobile GSM network. With the use of a prepaid SIM, the unit will only dial out in the event of an alarm so you won't have to pay a cent extra unless your alarm is activated, and even then it is only the cost of a standard phone call. Some alarm systems are capable of dialling direct to your mobile via a VOIP phone connection. However it is highly recommended you only do this if your modem has a UPS battery back up.